Back Bay Books, 9780316246170, 384pp. Escape to Provence this summer with the "brave, funny" sequel to Elizabeth Bard's bestselling Lunch in Paris (Diane Johnson). Ten years ago, New Yorker Elizabeth Bard followed a handsome Frenchman up a spiral staircase to a love nest in the heart of Paris. Now, with a baby on the way, Elizabeth takes another leap of faith with her husband when they move to Provence and open an artisanal ice cream shop. 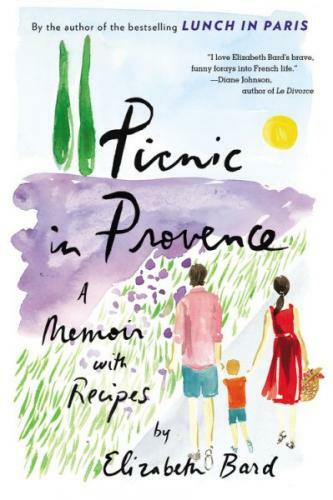 Filled with enticing recipes such as stuffed zucchini flowers, fig tart, and honey-and-thyme ice cream, PICNIC IN PROVENCE is the story of everything that happens after the happily ever after. With wit, humor, and a scoop of wild strawberry sorbet, Bard reminds us that life-in and out of the kitchen-is a rendezvous with the unexpected. Elizabeth Bard is an American journalist and author based in Provence, France. Her first book, Lunch in Paris: A Love Story with Recipes has been a New York Times and international bestseller, a Barnes & Noble "Discover Great New Writers" pick, and the recipient of the 2010 Gourmand World Cookbook Award for Best First Cookbook (USA).